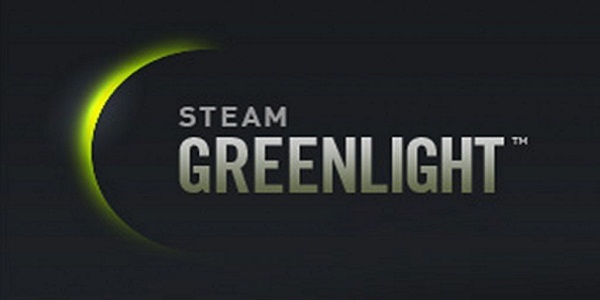 Some months ago Steam Greenlight appeared on Valve’s digital video game distribution service. This community driven feature quickly became the answer to the question I asked game developers when I started writing The Page of Reviews: who do you have to kill to get your game on Steam? The developers’ answers would often include words like “Pagan Rituals” and “blood pact with Gozer the Gozerian.” Perhaps taking its cues from the democratization of game development through crowd sourcing, Steam Greenlight allows members of the Steam community and general public to vote on what upcoming games should be included in Steam’s catalogue. As I looked through my Greenlight queue, judging future games based on screenshots and trailers, I thought to myself, why not do this right? Why should I limit debate to my inner monologue when I can draw some public attention to developers who have put the fate of their product into the hands of a fickle gaming community? Gather round then, good citizens of the boundless digital empire. Cast your eyes upon these three games which would prove themselves worthy of your love and coin. With a projected release date of Q1 2013, I think we can assume Fester Mudd is a finished game looking for a home. I like that the devs took it upon themselves to make an actual Greenlight trailer, rather than going with something generic to show off the game. As a guy who once went to school dressed up for Halloween as Roger Wilco, hero janitor of the Space Quest games, there’s really no way I could not want to play this game. The interface looks good. What little we see of the script and overall aesthetic seems appropriately light hearted and clever. Perhaps most importantly, Fester Mudd represents a niche of the gaming market that is due for a renaissance. Since I can’t see a lot of big publishers optioning a game style older than their target audience, Fester Mudd seems perfect for release via steam. Verdict: Unequovical thumbs-up. If you’re a gamer whose old enough to buy their own alcohol, or somebody who likes Community then you would do well to pay attention to a game which draws its sensibilities from greats like Sam and Max, Full Throttle, and Space Quest. Here’s the link to Fester Mudd’s Greenlight page. NB: After giving my thumbs up to Fester Mudd I discovered that Replay Games is the studio responsible for the upcoming rerelease of the Leisure Suit Larry series. I won’t deny this game looks cool. From the footage alone it is obvious MaK does some interesting things with gravity. Despite the sandbox feel, the developers are promising multi-player support as well as a “… non-linear campaign that wraps around an intriguing central plot.” However, I’m not getting a “shut up and take my money” feel off of this game. Since the success of Minecraft a lot of indie studios are working with variations on said theme. Certainly MaK is charting its own unique direction, but from what I’ve seen I don’t know if it’s quite my style. Personally, I’d rather build a castle than a dancing robot. Verdict: Thumbs Down. I think this is something a lot of people could have hours of with, but I don’t know if I’m one of them. When the essential question is “Would you buy this game if it were available on Steam?” my answer is a hesitant “only after I read the reviews.” That said, I’d be happy to review it, but I just don’t think I would buy it based on what I’ve seen so far. MaK is scheduled for release in Q4 of 2013. Check out MaK’s Greenlight page and you can tell me how wrong I am about this game in the comments. This is the initial description on Haunt. Haunt (originally named Haunt: The Real Slender Game) is independent adventure/horror game project inspired by Parsec Productions “Slender: The Eight Pages”, which was based on Victors Surge “Slender-man” idea. Apparently I don’t run in the right circles on the internet because I have no idea what the Slender Man is, or why it has led to ParanormalDev doing their own take on another studio’s game, which at the time of this post is still in beta. Let’s go to the trailer. So walking and a flashlight…is this another Dear Esther? The Greenlight description frames this game as “First Person Horror”. However, the trailer gives me the distinct vibe of a game intent on coming up with various ways of yelling “boogie boogie boogie” at me in an attempt to startle me out of my crappy Ikea desk chair. Games like that have never really been my scene; seriously, I didn’t even bother to finish the first Silent Hill. I don’t scare easily, and I’m often too cynical/clinical to buy into the underlying ghost/paranormal mythos that drives games of this spectrum. One other paragraph within the game’s description caught my attention. More important thing is that “Haunt: TRSG” that uses slender-game gameplay has become some kind of prototype for much more bigger project, that will provide unique story, gameplay elements, environment and will be inspired by many paranormal activities that appeared in our world. Yes – we will do anything to keep it free – even in case of Haunts successor. It is all in your hands! Two things: first, you guys at ParanormalDev should call me the next time you do a press release, I’d be happy to do a pro bono copy edit; second, the game is free. Free is good, especially in the case of games which seem highly experimental. Verdict: Thumbs up to Haunt. Since the developers are dedicated to keeping this game free, as well as using it to build a larger project, which too will be free, there’s really no reason not to up-check this game. Head over to Haunt’s Greenlight page for more trailers and links to download the game. That’s it for the premiere edition of “Adam versus Steam Greenlight”. I’ll do it again next month with three new games out to prove their worth to the big bad world.